I'll give "Wild Grass" this much: it successfully summons a disturbed, frazzled state of mind. The mental blur carries this French import from legendary director Alain Resnais an incredible distance, assisting a special Euro discombobulation that makes it easier to swallow the often surreal nature of this unrequited love story. Meaningful? Romantic? Full-throated? Perhaps not. Yet, "Wild Grass" evokes the mania of a spinning brain wonderfully, presenting a polite jolt of anxiety to an otherwise impenetrable motion picture. Georges Palet (Andre Dussollier) is a married man in his mid-50s who finds a wallet in a parking garage. 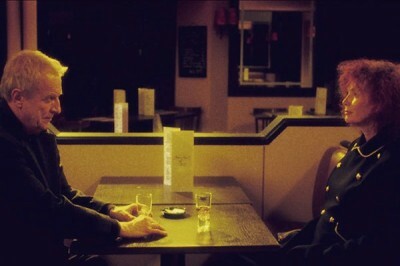 Checking for identification, Georges finds himself drawn to a woman he doesn't know, using the documents in front of him to imagine a life of ambition and loneliness. Marguerite Muir (Sabine Azema) is the wallet owner, a middle-aged dentist with a taste for aviation. Unable to bring himself to return the wallet personally, Georges involves the local cops (including Mathieu Amalric, "Quantum of Solace"), who contact Marguerite and settle the matter. However, that's not enough for this pair, who find themselves pulled to each other despite troublesome personality developments and, in the Georges's case, the revelation of his loving wife. The 87-year-old Resnais (the mind behind such classics as "Last Year at Marienbad") still displays surprising life behind the camera, taking full command of "Wild Grass," adapted from the novel by Christian Gailly. Here's a rascally creation that rolls glacially over a myriad of emotions and sensations, refusing to settle on anything the viewer can sink their teeth into. It's a cat's cradle of a motion picture, sure to delight highly trained cineastes who enjoy their tales of longing stacked to the ceiling with senseless changes in tonality and abstract imagery, molding a more challenging atmosphere of infatuation. While I rarely found myself engaged as exhaustively as I would've liked, I admire Resnais's tenacity and his playfulness, which occasionally expresses itself through Palet's love of cinema. Conveying a crowded headspace of hopes and failures, "Wild Grass" drills right to the core of insecurity, observing two characters caught up completely in their own minds. That quiver of doubt carries much of the film's first half, beautifully articulated by the two leads, who gift the feature a concrete feeling of anxiety as Palet's obsession boils over to some rather undignified behavior, which charms the frizzy-haired dentist. The grip of apprehension is productively conveyed and quite enthralling in small shots, succeeding in a film that often refuses the burden of coherency. "Wild Grass" isn't for all tastes, an isolating impact helped along by the puzzling finale, which reward the patient viewer with a conclusion that's certainly interpretive, but mostly ridiculous. Buy tickets to "Wild Grass" now!